HI, Need to go from Foggia to Monte Sant’Angelo, im traveling on aprl 26, please help me with times and if you have the bus. you need the SitaSud bus from Foggia to Monte Sant’Angelo. For April 26 you have to check FER (weekday) e GIOR (daily) on the timetable. I need to get from florence to siena? HELp? I need to go to Pietrapertosa from Potenza on 23 September and from Pietrapertosa back to Potenza on 24 September. Could you help me with the timetable? How to get to the bus station from Potenza Centrale Train Station? Sita company doesn’t connect directly Potenza and Pietrapertosa. Fratelli Renna company can do this connection. When will the 2015 bus schedules be available? Are there buses from Rome to Venice and from Venice to Cava de Tirreni? What is the current price in euros? I need to get from Rovigo to Chioggia on the 2nd of september around 7 PM. Wich bus can I take and could you help me with the timetable please? I am planning to visit Agerola from Amalfi. Could you let me know the time table of September on this route? Monica, I need the Sita schedule for Sunday October 19, 2014 from Florence to Siena. How long is the trip, and is there an express bus? Do I buy tickets at the Sita station in Florence? About Sunday you need the “Festivo” part (no “Feriale”). You can buy tickets at the Sita Station in “Via Santa Caterina da Siena” in Florence. Is there a Sita bus from Rome to Sorrento (or Salerno/Positano)? if not, would there be bus service from Napoli to these places. Also, if these routes are available in December (around 10th), how to pre-book tickets? I would appreciate any help on the matter. Marozzi company do the bus service from Rome (Tiburtina Station) to Sorrento. It is available in December. From Sorrento to Positano and from Positano to Amalfi, you can see this link Sorrento to Amalfi Coast timetable. From Amalfi to Naples you can see this link Naples Amalfi connections. Can we get from Ascoli Piceno to Rome by bus? company Start Spa do the route Ascoli Piceno – Rome. Hello,we have two persons. We will go from airport Venise, Marco Polo to Hotel Giotto(P.I. 03935120281 pl. Pontecorvo, 33, 35121 Padova, Italia) on 06/07/2015, around 17P.M . Would you please give me the timetable and cost of tickets? Can I buy ticket online because I need a facture? Cost € 8,50 (€ 10,00 on board). It isn’t possible to buy ticket online. Hi! Need help finding a way back to Naples after spending the day in the Amalfi Coast. All the info I keep seeing goes back to Naples early in the day but we want to stay for dinner. Help please? We are looking to go from Naples airport to Maiori. Can you attach a timetable for this route please, and does it depart the airport after 20:00 hrs? Hi Marianne, here the timetable for the bus Napoli – Minori with the stop on Maiori. could you tell me how to go from Brindisi Airport to San Pietro in Bevagna (on the 10th of august around 9h30 am) and the way back (on the 30th of august )? Please post your question on the forum. It is too specific to be in the comments. Thank you. Hi! The most important question is whether we can travel with a dog in a bus? He’s a small pomeranian and will be in a dog bag. If yes, did I find it right that we can travel from Naples to Conca dei Marini (June 15) and then from Conca dei Marini to Maiori (June 17) by SITA? And also, what would be the best way to get from Maiori to Rome (June 20)? Small dogs are accepted onboard but with muffle and lead or a proper container to avoid issues with other passengers. For the bus connection you can find more details at the following page: Naples Amalfi or make a request in the forum. Your drivers on amalfi coast don’t respect people. They refuse to stop on the road between cities to pick up passengers. Tried twice today around 10 am between Minori and Amalfi and they didn’t stop. I am sorry for what happen but our bus drivers can stop only on the designated bus stops. Where you waiting on one of them? What route will be available in 1 may 2019 Sorrento – Amalfi? Will it be daily D or Sundays and Holidays F? The 1st of May is an Holiday so it will be F.
Hello I’m looking for bus from Foggia to Serracapriola in Sunday could you send me timetables to and from , thank you. Salve Kasia, you are looking for the line 724. 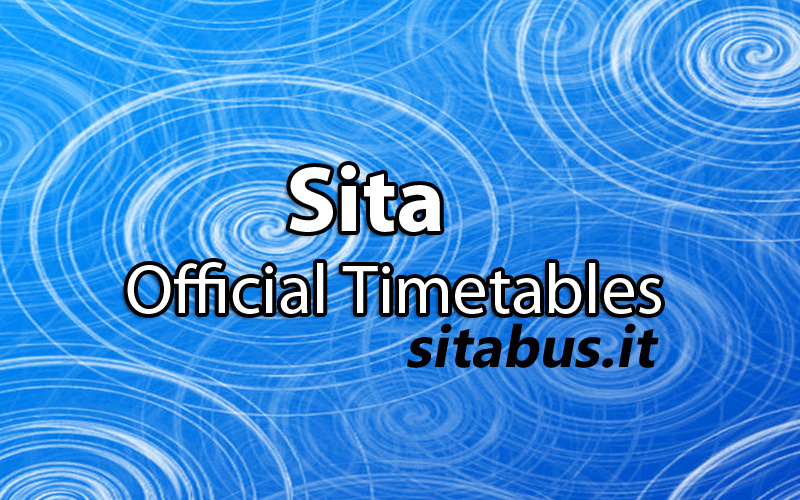 We just published the timetable. Dear GÜVEN, some of the timetables are already present on the website. Please search and reduce the number of request to the one you can not find. Regards. Ho trovato la linea 5080 ma dove è il capolinea di Napoli ? Gli orari sono validi in agosto (vorrei partire di Napoli 8:05 per arrivare a Bomerano 9:50) ? Come comprare i biglietti ? Posso usare la Artecard Campania o devi pagare separamente ? Salve, la invito a guardare gli orari qui Orari Sita Sud Linea 5080 – Amalfi Agerola Gragnano Castellammare Napoli. La fermata è in via galileo ferraris e può utilizzare l’ArteCard che è valida in tutta la regione.